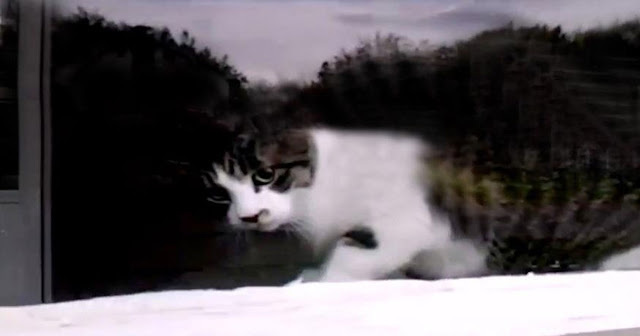 Home › videos › Cat Sees A Mailman Approaching The House. It's Next Move Has Me Laughing Out Loud! Cat Sees A Mailman Approaching The House. It's Next Move Has Me Laughing Out Loud! Being a mailman is one difficult job. Not only do you need to ensure that you are delivering the correct mail to the right address for every single house on your route, but you also need to put up with pesky pets. It’s not unusual to come across an angry guard dog who won’t stop barking. Circumstances like that can make life doubly difficult. The mailman in the video below is proof. Everyday, he visits the same house on his route and encounters the same feisty cat. This aggressive cat patiently waits every day for the mailman to visit the house. He looks out the window, in anticipation, and the moment he sees the mailman, he springs to the mail slot on the door. But watch what happens the moment the mailman opens the mail slot and tries to deliver the mail. I never expected the cat to do this… I can’t help but laugh!